2012-02-25 wrong. 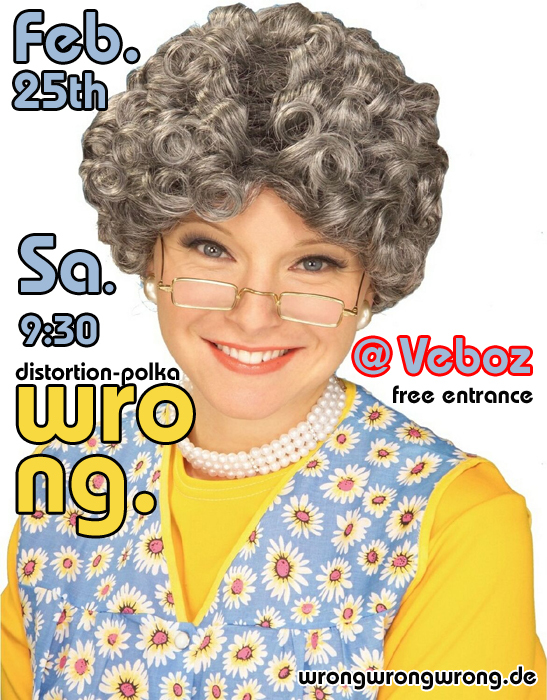 @ Veboz | Wrong. Omagott this Sa. 25th of Feb.
you are cordially invited to dance the wombat, wear a wig, or even eat a carrot…but careful! wrong. and carrots …a dangerous combination..
make some vids (if you are interested contact us we’d love to have you! ), and eat spritzkuchen.